Problems With Your Dryer Vent? We Can Clean or Replace It For You! One of the most important factors when it comes to keeping your dryer's vent clean is that it protects against the risk of fire. The lint that gets stuck in the vent can begin to burn due to the hot air coming through, and eventually it can be enough to cause a spark and flames. 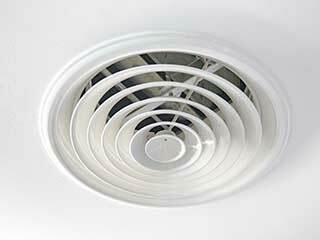 Another issue is that a clogged vent wastes energy, as it takes longer to dry your clothes. Your clothes can also be damaged thanks to this extended cycle, so it's best to ensure none of these issues will bother you and just get the vent cleared out! Signs That It Needs It? You may be able to view your dryer's vent, in which case you should be able to see the lint and otherwise sticking out of the slats. Aside from that, pay attention to how long it takes for your clothes to dry, or if you have to set the cycle to go for longer. This can indicate a blocked-up vent is slowing things down. Your energy bill may also be rising slowly with no indication as to why you're spending more. If you smell something burning, you should quickly turn the dryer off and wait to use it until after the vent has been tended to since this is indicative of a serious problem. Our friendly team of technicians are ready to get to work whenever is best for your schedule! We'll come out right away to get to work on your dryer's vent to get it completely cleaned out and use only the highest quality tools to ensure the job is done thoroughly. You won't have to worry about a mess being made or dust getting into the air either, as we'll get the lint disposed of safely. Rather than leave your home at risk of a fire, let us help! Call Air Duct Cleaning Richmond today.